Offer your horse the same comfort in the show ring that you do during schooling with this white fleece show pad with gel pad pocket. 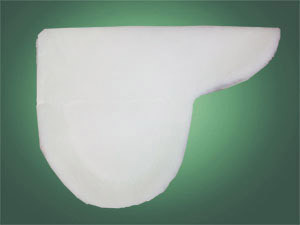 This pad has a wide velcro opening at the pommel that allows a gel pad or thinline half-pad to be inserted and then removed with ease when the pad needs to be washed. Features a high loft, fluffy synthetic fleece top with 100% quilted cotton flannel against the horse and cantle rider stitched securely inside the saddle. 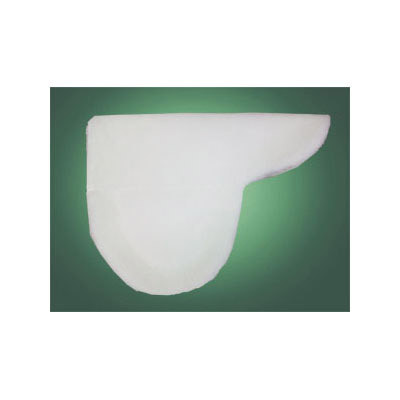 Gel pads are notorious for slipping, but with this pad your gel pad will stay in place.